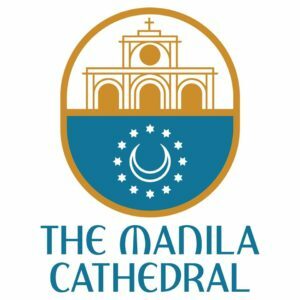 The Minor Basilica of the Immaculate Conception, also known as the Manila Cathedral, has unveiled its new logo as part of its 60th anniversary celebration on Friday, December 8. The new symbol takes the form of a crest as a reminder of the rich history of the post-war cathedral and how it has endured in spite of crises and calamities. The crest’s upper half depicts the façade of the cathedral which was not destroyed during the war, while the lower part features the moon and 12 stars to symbolize the Blessed Mother Mary. The logo also used sky blue color as a tribute to the Marian character of the cathedral and a symbol of peace, while gold represents strength. The font used for the name of the cathedral, a church official said, is inspired by its Romanesque architecture and the inscription at the tympanum or upper part of the main doors of the church. Fr. 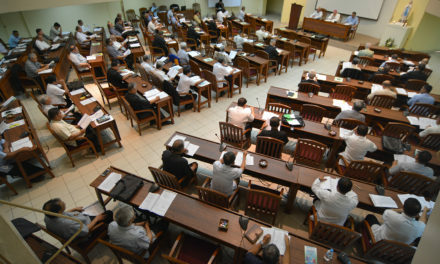 Kali Pietre Llamado, Vice Rector of the cathedral, said the logo embodies the identity of the structure “as our Mother Church”. 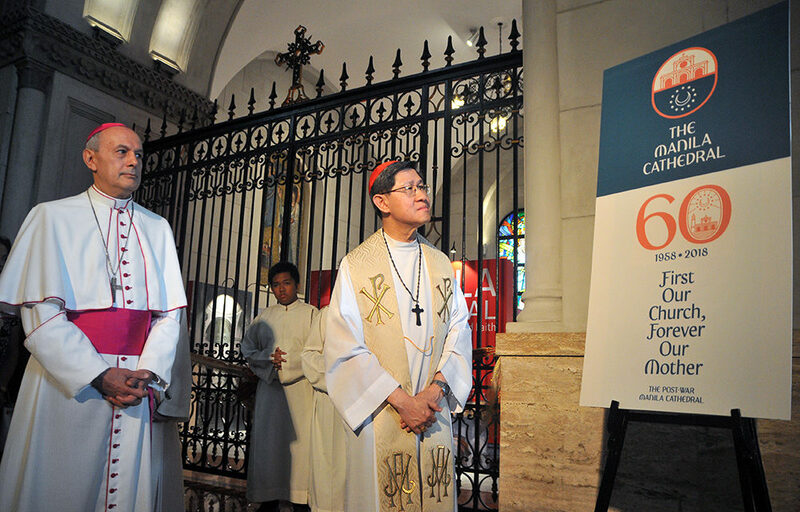 He said that as the seat of the Archbishop of Manila, the cathedral for a long time used the insignia of the archbishop. “When it was elevated into a basilica, it was given the privilege to bear the papal emblem. For a few years now it also used an image of its structure as its seal,” Llamado said. 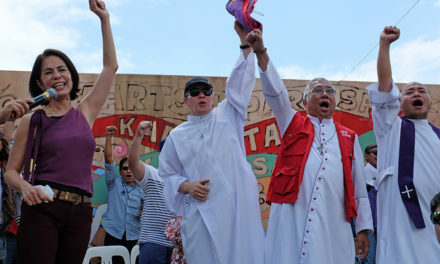 The unveiling of the new logo was led by Cardinal Luis Antonio Tagle, Archbishop Gabriele Caccia, the Apostolic Nuncio to the Philippines and Fr. Regie Malicdem, Rector of the cathedral. The event preceded a Mass presided over by Cardinal Tagle to celebrate the Solemnity of the Immaculate Conception. 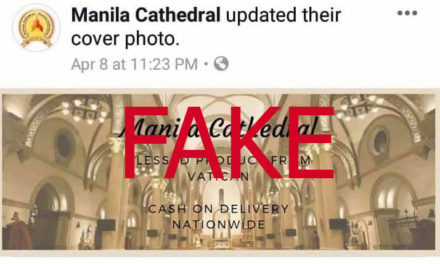 The cathedral also revealed to the public its new tagline: “First Our Church, Forever Our Mother”, emphasizing that side by side the story of the structure is the story of the Filipino faith. 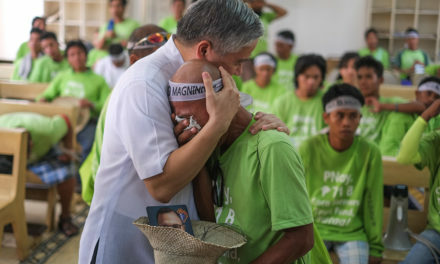 “The Manila Cathedral therefore is not only Church as a beautiful building where we gather, but Church as Mother, teaching and taking care of the life of her children,” Llamado said. As a simple gift to churchgoers, the cathedral distributed pendants and estampita of the bronze image of the Immaculate Conception enthroned at the cathedral’s sanctuary. 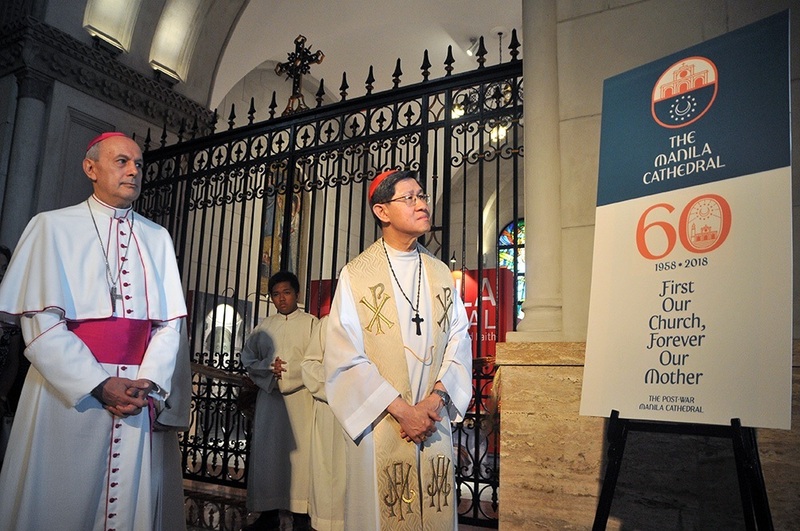 On the same day, Archbishop Caccia and former Supreme Court Chief Justice Artemio Panganiban, President of the Manila Cathedral-Basilica Foundation, led the opening of the cathedral’s 60th anniversary exhibit.